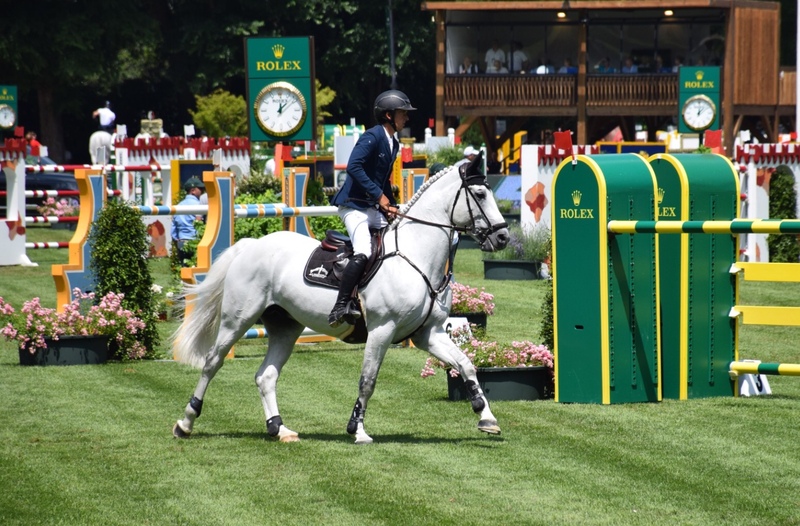 Yesterday, Bertram recorded one of his best results of the season, taking the runner-up spot in the five-star Rolex Grand Prix at his first visit to the CSIO5* Piazza Di Siena, Rome. Bertram was riding the brilliant Hector Van D’Abdijhoeve - who also finished 7th at the Windsor Grand Prix two weeks ago. Bertram was one of 13 riders who made it into the second round jump-off in Rome, entering the ring as the last rider to go. Allen and Hector were chasing a target of clear in 45.37 which had been set by Italy’s Lorenzo De Luca with Halifax Van Het Kluizebos. A brilliant effort from Bertram and Hector saw them jump clear to cross the line in 45.97, a fraction behind De Luca who lifted the winner's trophy. Hector is a charismatic horse with real warrior spirit on course. Combining a perfectly balanced canter with outstanding power and scope, he shows a lot of respect at the fence.with outstanding power and scope. His sire Cabrio vd HEFFINCK is not only the European Champion Young Riders 2014 with Olivier Phillipaerts but also carries the precious blood of CASSINI I and CALATO. Hector’s dam Lady Dy was successful in CIC2* classes and is a uterine sister to Optimum vd Wellington (CSI5*). Through her, Hector’s origins go back to UTRILLO VD HEFFINCK and so to the legendary breeding CLINTON x HEARTBREAKER (like Cornet Obolensky). The very chic and talented FUEGO DU PRELET (CSI5* winner with Dirk Demeersmann) completes the incredible pedigree of Hector. Hector is available for breeding.